Eric Newby was a legendary travel writer, sort of your father’s Paul Theroux. He wrote several books which most people have heard of, if not read. If you have not read Newby, I recommend him highly. He wrote The Last Grain Race, about sailing a ship from Britain to Australia and return. It complements the books of Joseph Conrad very well. I am currently reading A Short Walk in the Hindu Kush, about mountain climbing in Afghanistan before all the recent wars. I am also reading Round Ireland in Low Gear, which is the perfect complement for any of Dervla Murphy‘s bicycling books. Slowly Down the Ganges is his account of exploration in India. He also wrote about war in Italy in 1943 in Love and War in the Apennines and travelling around the Mediterranean Sea starting in Naples and travelling clockwise in On the Shores of the Mediterranean. The Ladies of Missalonghi by Colleen McCullough is the fictitious tale of three related women, two sisters (one widowed), and the daughter of the widow living in genteel poverty among their well-to-do relations in the fictitious town of Byron in the Blue Mountains west of Sydney, Australia. The book was published in 1987, 16 years after my first visit to Australia. 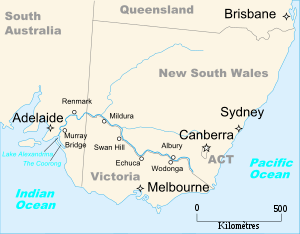 In 1971, I rented a car in Sydney and drove a half circle from Sydney to Melbourne to Adelaide and then across country following the Murray River (Australia’s largest) to the nation’s capital, Canberra, and through the Blue Mountains back to Sydney. The Blue Mountains got their name from the way eucalyptus oil in the air colors the landscape blue. Missalonghi or Missolonghi is the spot on the west coast of Greece where Lord Byron met an untimely death. Bryon was an English poet and adventurer who assisted Greece in its efforts for independence from Turkey. Missalonghi of the title is the name of the house where the three ladies lived. On my first visit to Australia, I spent three weeks there and enjoyed myself thoroughly. I drove from one major city to another and found that the countryside was mostly empty of people. 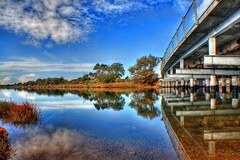 Most Australians live in the coastal cities. The scenery is much like California, but the flora and fauna are quite different. I made a short excursion by air from Melbourne to the island of Tasmania which reminded me of Washington state. All in all, a memorable trip and I returned twice more. I am re-reading the short novel now for the second or third time. I now own an autographed copy of the book. I think that reading any book is a meeting of minds between the reader and the author. When I hold an autographed copy in my hands, one touched by the author, I consider it a double meeting, one of mind to mind and one of touch to touch. And when the author is describing a place that we both have visited, it is even more enjoyable. I have read almost all of Colleen McCullough’s works. I particularly enjoyed Thorn Birds, Tim, Morgan’s Run and her series about Julius Caesar and Rome. England exiled its criminals to the US, and after the American Revolution, they sent them to Australia. At the time, crime was thought to be inherent or genetic; if you committed a crime, you could not be rehabilitated. In essence, you and your descendents carried a fatal stain in the blood that could never be eradicated. 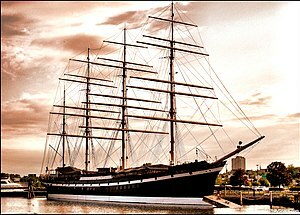 The journey to Australia was a long one and many prisoners died en route if they had no friends to help them prepare for the journey. The fortunate ones carried citrus with them to prevent scurvy. In Wildness and Razor Wire, Ken Lamberton demonstrated how important friends and family still are to surviving the prison experience. Today, it is the poor and minorities who compose the overwhelming majority of the prison population because they cannot afford qualified legal help and because the war on drugs is fought primarily against them. Our present attitude towards criminals has changed little from England’s attitude 250 years ago. All that has really changed is that we lock people in cells here rather than exile them to a foreign country. 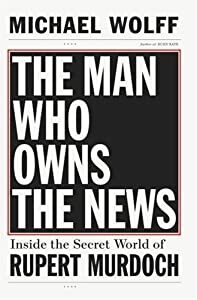 The Man Who Owns the News, Inside the Secret World of Rupert Murdoch by Michael Wolff. Keith Rupert Murdoch 2 is the media baron son of a minor media baron of the same name. Descended from protestant clergy and of Scottish ancestry, the Murdochs emigrated to Australia where Rupert’s father became a power in the newspaper business. Printing ink runs in Rupert’s veins and the newspaper portion of his empire is what he really cares about. That and earning enough money from the other parts of his empire to buy more newspapers. Newspapers are a dieing business, but Rupert still prefers them because that is what he knows and loves. Rupert also loves to create sensation and scandal because they sell more newspapers. He attacks his enemies in the papers and supports his friends, both with a long memory. All his employees try to write as Rupert would or they do not continue to be employed. News Corporation, his media empire, grew to its present size because a bigger balance sheet made it possible to do bigger deals and acquire more media properties including more newspapers. In the circles of society that Rupert now moves, most people criticize Fox News to his face. Rupert claims to be embarrassed by Fox, but as long as Fox makes money, Rupert will continue to allow Roger Ailes carte blanche to run the network as he sees fit. I think that the only way to compel Fox to be “Fair and Balanced” is to boycott its sponsors so that Fox is not a source of profits for Murdoch. I believe that News Corporation is too big, too powerful, for one company or one individual in a democracy. Michael Wolff tells the story about how Murdoch plucked Ed Koch from obscurity and succeeded in electing him mayor of New York City. It is Murdoch’s belief that an unknown elected to political office owes more to Murdoch for support than a well-known candidate for office would for the same support. Therefore, I believe that for the sake of preserving our democracy, we must dismantle Murdoch’s empire. Too much power in the hands of one individual or one corporation corrupts. Power corrupts and absolute power corrupts absolutely.